Powerful five gaited mare with 8,5 for slow tölt. Hugmynd is a well breed, strong pedigree, 6year old mare with 7,80 in FIZO. 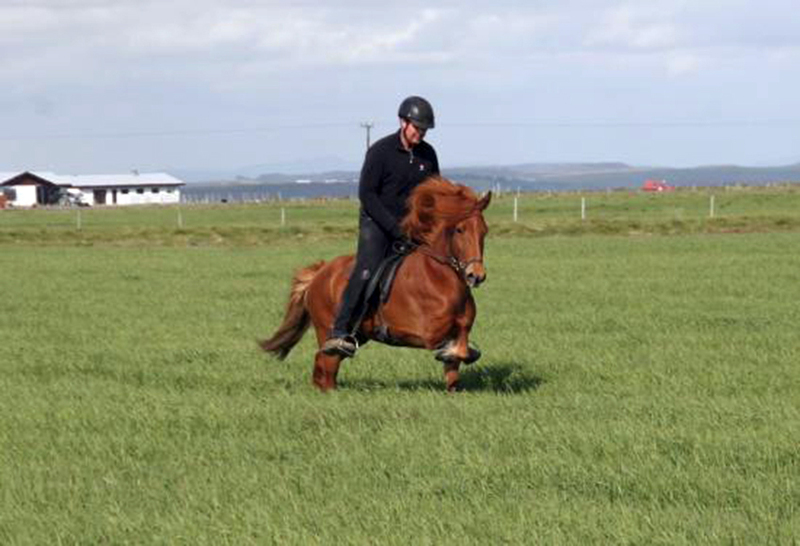 Her mother, a Otur frá Sauðárkróki daughter has 8,36 for riding abilities and her father Háttur frá Þúfum 8,73. Hugmynd is willing and has good gaits. She has gotten 8,13 for exteriour and 8,0 for tölt and 8,5 for slow tölt. 8,0 for trot and 7,5 for pace. She is a promising competition horse for 5gait and pace test (PP1). Hugmynd is pregnant with the stallion Herkúles frá Ragnheiðarstaðir (younger brother to Herjólfur 9,5 tölt and form under rider).